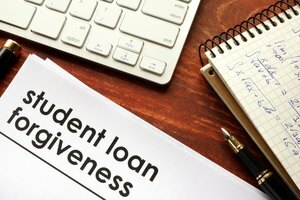 It's not unusual to graduate from a college or university with more than one student loan, and it's certainly not unusual to have concerns about how you are going to repay those loans. For many borrowers, student loan consolidation makes sense. This involves taking out a consolidation loan to repay all of your existing loans. You then make a single payment every month toward the new consolidation loan. Student loan consolidation is a way of combining more than one student loan into one new loan. 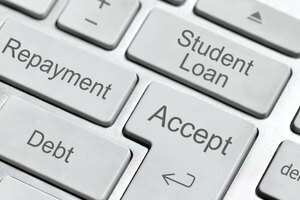 Most federal student loans are eligible for consolidation, including Direct Subsidized Loans, Direct Unsubsidized Loans, Direct PLUS Loans, Subsidized Federal Stafford Loans, Unsubsidized Federal Stafford Loans, PLUS loans from the Federal Family Education Loan Program (FFEL), Federal Perkins Loans, Health Professions Student Loans and Loans for Disadvantaged Students. Generally, you are eligible to consolidate after you graduate, leave school or drop below half-time status. 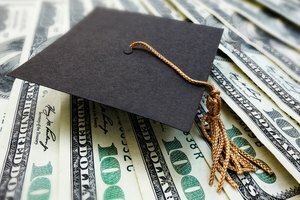 Federal student loans may be combined into a Direct Consolidation Loan, a federal loan made by the U.S. Department of Education. Direct PLUS Loans received by parents to help pay for a dependent student’s education cannot be consolidated together with federal student loans received by the student. You can also consolidate private student loans, which is commonly known as student loan refinancing. Private student loans can't generally be consolidated with federal student loans into a Direct Consolidation Loan, but private loan refinancing companies, such as banks, credit unions and online lenders, can combine more than one loan. Student loan refinancing can also reduce your interest rate, provided you have a reasonable credit history and a regular income. Refinancing lets you restructure your debt by selecting a new repayment plan. You may be able to secure a shorter loan term to pay your loan off quicker or a longer loan term to bring your monthly bills down. Most companies offer both variable and fixed rates and flexible repayment terms between five and 20 years. Make sure you shop around before you refinance your student loans to ensure you get the best deal from the right lender. Before consolidating federal loans with a private lender, make sure you're aware of the benefits you will lose by doing so. Taking out a private loan means you won't be eligible for federal repayment options, such as income-driven repayment plans or Public Service Loan Forgiveness. Most private lenders don’t offer these plans, but they might grant forbearance (or temporarily pause your payments) if you can demonstrate financial hardship. To figure out whether student loan consolidation is right for you, you have to consider the advantages and disadvantages. So, what are the pros and cons of consolidating student loans? One of the main pros of consolidation is the simplification of loan repayment. If you currently have federal student loans with different loan servicers, consolidation gives you a single loan with just one monthly bill, making it easier to budget and manage your finances. You can also transfer any variable-rate loans you have to a fixed interest rate. A Direct Consolidation Loan has a fixed interest rate (with no cap) for the entirety of the loan. Federal student loan consolidation increases your interest rate slightly because your new rate is the weighted average of your old interest rate rounded up to the nearest one-eighth of 1 percent. Additionally, consolidation can lower your monthly payment by letting you repay your loans over a longer period of time – up to 30 years. This frees up more disposable income per month. Consolidating loans other than Direct Loans may give you access to additional income-driven repayment plan options and Public Service Loan Forgiveness. The biggest disadvantage of loan consolidation is probably the fact that you usually end up paying back more than you would if you didn't consolidate because it increases the length of the repayment period and adds more interest. You should consider paying your loan back at a quicker rate when you are in a better financial position in the future. Some borrower benefits associated with your current loans may be lost if you consolidate them, such as interest rate discounts and principal rebates. If you have an income-driven repayment plan for your current loans or have made qualifying payments toward Public Service Loan Forgiveness, consolidation will cause you to lose credit for any income-driven repayment plan forgiveness or Public Service Loan Forgiveness payments. Before you can consolidate your student loans, you must meet certain eligibility requirements. First of all, the loans you wish to consolidate must be in repayment or in a grace period. In most cases, it's not possible to consolidate a current consolidation loan unless you add another eligible loan to the consolidation. However, you may be able to reconsolidate a current FFEL Consolidation Loan without adding any other loans. In order to consolidate a defaulted loan, you must either make satisfactory repayment arrangements (i.e., three consecutive monthly payments) on the loan before consolidation, or you must agree to repay your new Direct Consolidation Loan under the Income-Based Repayment Plan, Pay As You Earn Repayment Plan, Revised Pay As You Earn Repayment Plan or Income-Contingent Repayment Plan. If you have a defaulted loan that is being collected through garnishment of your wages (where your employer withholds up to 15 percent of your disposable income to collect your defaulted debt) or in accordance with a court order after a judgment against you, it's not possible to consolidate that loan until the wage garnishment order is lifted or the judgment is vacated. You can apply for a Direct Consolidation Loan through the Federal Student Aid website, either by completing and submitting the application form online or by downloading and printing a paper form to send by mail. As part of your application, you select a repayment plan that best suits your needs and circumstances. For example, you may go for an income-driven repayment plan, which uses your income and family size to determine your monthly payment amount. The next step in the consolidation process is carried out by the consolidation servicer you chose. The servicer is responsible for paying off your current loans using your new Direct Consolidation Loan. You must carry on repaying your loans (unless they are in a grace period, deferment or forbearance) until you receive notification that they have been consolidated. It costs nothing to consolidate your federal education loans into a Direct Consolidation Loan. Beware of private student loan consolidation companies who offer to help you apply for a Direct Consolidation Loan for a fee. None of these companies are affiliated with the U.S. Department of Education or its loan consolidation servicers. You make the first repayment toward a Direct Consolidation Loan 60 days or more after the loan is paid out. You will get the first payment date from your loan servicer. If you are consolidating one or more loans that are still in a grace period, you can choose to postpone the consolidation of your loans until closer to the end date of the grace period. You must make this clear on your Direct Consolidation Loan application form. Loan consolidation can give you access to forgiveness programs, which means your loan is cancelled after you have made qualifying repayments for a specified time period. For example, the Public Service Loan Forgiveness Program forgives the remaining balance on your Direct Loans (including Direct Consolidation Loans) after you have made 120 qualifying monthly payments. A qualifying monthly payment is a payment made after October 1, 2007 under a qualifying repayment plan for the full amount due as shown on your bill no later than 15 days after your due date. Also, the payment must be made during full-time employment by a qualifying employer. If you have concerns about the impact of loan consolidation, you could consider deferment or forbearance as ways to take a short-term break from repaying your loan. Alternatively, an income-driven repayment plan may lower your monthly payment amount. It's important to be aware that after you have consolidated your loans, they cannot be separated. The previous loans have been paid off and replaced by one Direct Consolidation Loan. As an alternative to loan consolidation, you may want to temporarily stop making student loan repayments or temporarily reduce your payment amount. To be eligible for deferment, you must fulfill certain requirements. You may be eligible while you are enrolled at least half time at an eligible college or career school. If you received a graduate or professional Direct PLUS Loan or FFEL PLUS Loan, you may be eligible for another six months after you stop being enrolled at least half time. A parent who received a Direct PLUS Loan or a FFEL PLUS Loan may also be eligible for deferment while the dependent student is enrolled at least half time at an eligible college or career school and for a further six months after the student stops being enrolled at least half time. 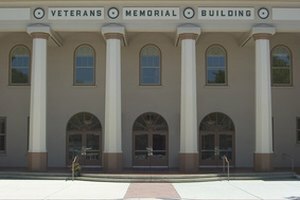 You may also be eligible while you are enrolled in an approved graduate fellowship program or an approved rehabilitation training program for the disabled or while you are unemployed or unable to find full-time employment for up to three years. Deferment is not a permanent solution and does not reduce the amount of the loan you end up paying back, but it may be a good option for you if money is tight but you know things will soon get better. In order to qualify for deferment, you have to be up to date with your loan payments. Another alternative to loan consolidation is forbearance. Forbearance has a similar effect as deferment but applies under different circumstances. There are two types of forbearance: general forbearance and mandatory forbearance. General forbearance is granted at your loan servicer's discretion, and for this reason it is also known as discretionary forbearance. You can apply for general forbearance if you are temporarily unable to make your loan repayments due to financial difficulties, paying for medical expenses or a change in employment. Eligibility requirements for mandatory forbearance include (but are not limited to) serving in a medical or dental internship or residency program or an AmeriCorps position for which you got a national service award or if you are performing teaching service that would qualify you for teacher loan forgiveness. You may also be eligible for up to three years if the total amount you owe each month for all the student loans you received is 20 percent or more of your total monthly gross income. If you are eligible for mandatory forbearance, your loan servicer is required to grant it. 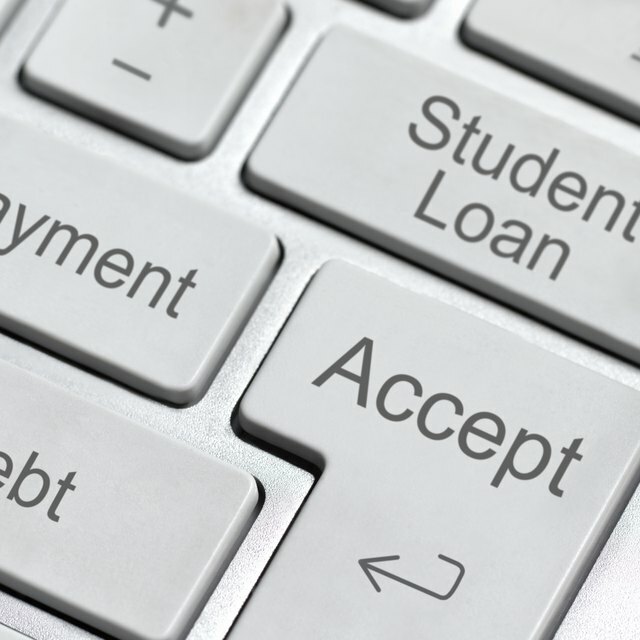 If you are having difficulties making your student loan repayments, contact your loan servicer without delay. You can work with your servicer to address the issue and consider the options available to you in order to avoid defaulting on your loan. Gillespie, Claire. "What Is Student Loan Consolidation?" Synonym, https://classroom.synonym.com/what-is-student-loan-consolidation-13714920.html. 27 September 2018.